So, hey… it’s been a while. I thought I should make up for my long absence with something amazingly funny or insightful or inspirational. And then I wrote this instead. No, seriously I’ve been spending all my blogging time setting up the Foil & Phaser blog and that hasn’t left much room for silly nonsense and stories here. Hopefully that will change very soon and I can get the first book of stories edited and up and finish the second (and the third…yikes). In the meantime, the announcements for the Sword & Laser anthology were announced, and I was not selected. *Sad trombone* Well, maybe next time I won’t write the stories two days before the deadline, and I will fix the typos before I submit them. Yes, I really did find a typo after reading through the damn stories a hundred times. Further proof that you should always get someone else to read your work first. Which is one of the big reasons I started the Foil & Phaser blog, so I could get constructive feedback on my writing. 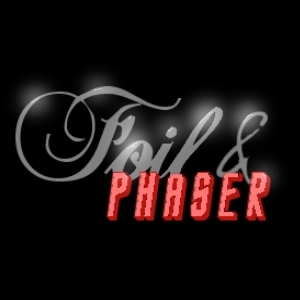 If you’re a science fiction or fantasy writer, Foil & Phaser will post or reblog stories or articles on writing and publishing. Book reviews too. We also have peer review and collaborative workshops. And, no…nobody paid me for that ad. The blog is run solely by the volunteer efforts of our contributors in support of the community. If you’d like to join, you can check out the site and the Sword & Laser group on Goodreads. Or if you’d just like to read some free stories, we have those too – including a bunch that were submitted for the above-mentioned anthology. And that is the absolutely last time that I will mention Foil & Phaser on this blog (until the next time). Okay, I may do the occasional reblog, but that’s it. I promise. From now on it will be back to business as usual, which is to say I will disappear for two months. No, wait that’s not right. I will try to get back to regular posting soon. And yes, I know I’ve said THAT before too. Also, Foil & Phaser. Go now. Read stuff.